Rock Lobster is a hugely popular Restaurant and Cocktail Bar serving some of the most amazing food and delicious cocktail creations. The perfect place to meet up with friends, enjoy the cocktails and the catch up in this super trendy restaurant. Located at the Harvey Nichols store in Dundrum centre. 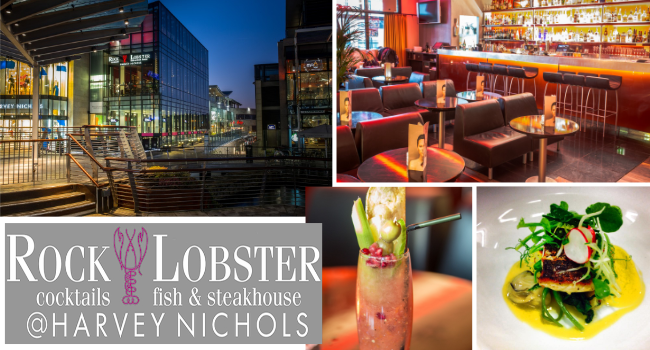 Niall, owner of Rock Lobster is offering a 3 course dinner for 2 people plus a bottle of wine for only €59.99 available 7 days per week until the end of June.